Welcome to our Second Annual Fiber Fun in the ‘Sip. We are bringing Fiber Fun back to the ‘Sip. Our goal is to encompass many areas of fiber craft including knitting, crochet, spinning and related crafts such as weaving and dyeing. We are bringing back local and regional known instructors as well as national known fiber instructors. Our vendor hall is a juried show from local and regional vendors, local yarn shops, farm based shops and independent fiber artists from Mississippi and regionally based TX, LA, GA, FL, OK, TN, MO & IL. We will do our best to provide a great variety of fiber vendors where shoppers can touch, sample and purchase products that are not always readily available. Join us in September to have a relaxing and invigorating weekend with Fiber and Friends. Friday and Saturday, we will have a line up of jazz and blues music. We will have a “sit and stitch” area for those who just want to retreat for the weekend. We will have catered food concessions plus a cash bar who is also making available a themed cocktail punch “Tangled Mess”. We are only a couple blocks within walking distance from several restaurants that are favorites among the locals. We are adding a few new things for 2019 including a Mystery Knit Along, Fashion Show and Knitting, and Spinning Contests. Class Attendees will also get a special Vendor Hall preview on Thursday night. In case you didn’t know – knitting is ‘Hip in the Sip’ and so is jazz and blues! The Mississippi Delta is known for being hip dating back to the 30’s & 40’s where the blues was born. Music, comfort food and southern hospitality run deep in the Delta. The “Blues Trail” also known as Highway 61 runs straight thru Vicksburg. Some of the most famous Mississippi artists include B.B. King, Robert Johnson, Charley Patton, Muddy Waters, Howlin’ Wolf, Ike Turner, James Cotton, Jimmy Reed and Elvis Presley, just to name a few. So how wonderful would it be to experience some blues and jazz during your weekend stay. Relive some of the most popular songs with a weekend of nostalgia with live music and special dyed colorways based off of famous Mississippi Blues and Jazz singers and locations that our vendors will be creating for our event. We hope that Vicksburg will exude charm and hospitality, while its music permeates your soul and finds a place in your heart during your stay. Vicksburg has long been known among American and Civil War history enthusiasts, but its relevance to the history of blues music is a lesser-known aspect of the city, and its place within that history is still being discovered. “With the renewed interest in the blues and the history of music in this area, there has been an influx of travelers that stop in Vicksburg just to explore our musical history and experience the unique live music offered here,” said Laura Beth Strickland, Communications Manager for the Vicksburg Convention and Visitors Bureau. 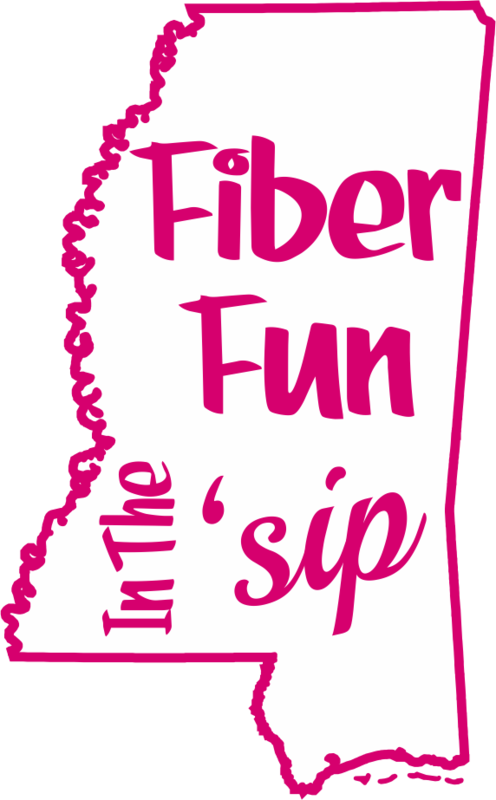 Come stay with us for the weekend and experience what we have to offer enjoying some Fiber Fun too! For a digital download of our 2018 event program booklet click Here!